Polymer Conversions specialty lies in the Validated Medical Injection Molding, Engineering, Tooling, Clean Room and Value-Added services of thermoplastic products for the Medical Device, Life Science, Pharmaceutical, Biomedical, Veterinary & Dental industries. For more than three decades, Polymer Conversions has provided plastic medical injection molding services to some of the world’s largest device OEM’s. Canadian & American companies with smaller, more customized portfolios have also gained market advantages by using Polymer’s full-service capabilities. We thrive on the challenge of manufacturing for highly complex, precision components using a fully validated, scientific process & production monitoring system, so we can continuously push the technical boundaries of plastics & steel. We maintain a registration with the FDA, have a quality management system (QMS) certified to ISO 13485 & ISO 9001, excel at Class 7 (10,000) and 8 (100,000) clean room manufacturing, use world-class automation and technology, and currently have 26 injection molding machines up to 390 tons. 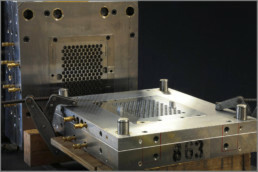 Whether your project involves only a small molded medical disposable, or you take advantage of the full suite of services before and after molding, the Polymer Conversions team leads in world-class, tight-tolerance medical injection molding services and can handle your most complex projects. There are many factors that go into creating the most robust processes and highest repeatability; data collection and process monitoring are two HUGE areas, and just so happens to be our specialty. Our scientific based techniques led by our highly skilled engineers that use all facets of our processing system to make your products, are the foundation behind our best-in-class quality. Our passionate commitment to continuously evolve as new technology emerges helps us grow even stronger as your supply chain partner. With the tool design and build classifications being another critical step of the manufacturing process, Polymer has continuously committed to stay true to the foundation of a full in-house tool room. 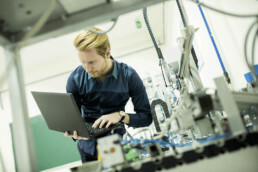 This advantage allows Polymer (PCI) to react quickly to production tooling, implement customer-driven revision changes, create new tooling and prototyping for next generation projects and create any fixtures or end-of-arm-tooling (EOAT) required by our molding, quality and secondary departments.